Theodossis Theodossiou and Kristian Berg from the Photochemical internalisation (PCI) group at the Department of Radiation Biology at the Institute for Cancer Research have been funded by the Future and Emerging Technology (FET) program under the Excellent Science section of the Horizon 2020. The FET program funded 11 projects out of 820 grant applications (1,4 % success rate) and the proposal by Theodossiou and Berg was rated as number 6. The project is designed to develop treatment of aggressive brain tumors such as glioblastoma multiforme (GBM). 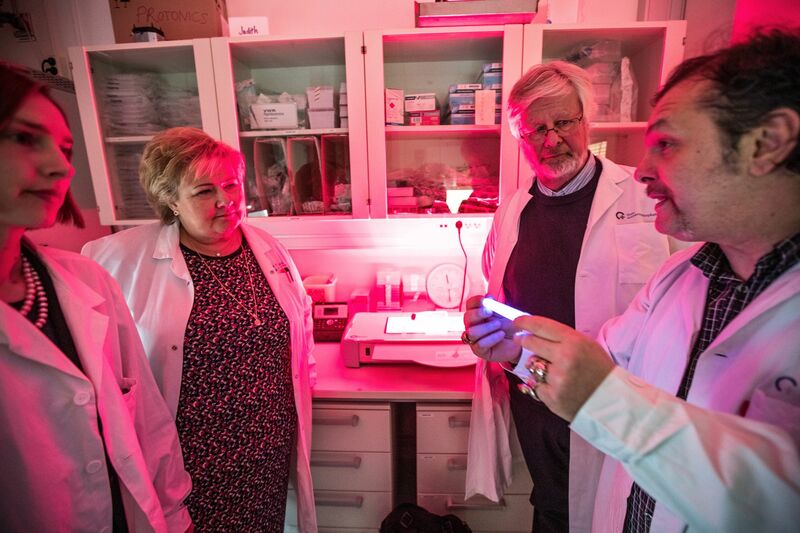 The major national newspaper VG recently (May 3rd) published a feature article about the supported project, entitled "Pioneering Norwegian technology: aiming to kill aggressive brain tumors by producing light in the brain."